and those we do business with. The Lakshmi Group was established in 1990 to manufacture a wide range of products including ferroalloys, inoculants and steel ingots. Since then, we have grown to a large scale. We are equipped with the manufacturing units and sophisticated warehouses at Bangalore, Pondicherry, Palamaneru, Hindupur, Renigunta, Nirmal and Vizag. We have catered to a wide range of sectors including steel industries, casting foundries and welding electrode plants. The manufacturing process and other operations of the company are updated on a frequent basis as per the developments in the industry. Aimed at creating top-tier products, we strive to become one of the leading manufacturer and supplier of alloys, inoculants and steel ingots. Our Vision is to emerge as a major producer of several varieties of Ferro Alloys as well as Speciality Ferro Alloys Products in the next five or ten years to meet all the demands from within and from outside India. Our primary vision is to emerge as an elite manufacturing group/company in producing several varieties of Ferro Alloys including Speciality/special Ferro Alloy Products. This ambition is planned, to be executed by furnishing substantial investment on R&D, employee training and modern technology. The rising demand for Ferro Alloys will be met by the implementation of advanced planning and scheduled system to efficiently use the workforce and resources. We have also laid out a detailed plan for expanding our manufacturing plants in many places in India and to produce many Noble Ferro Alloys and similar products in the near future. Hindupur unit: This unit is at Hindupur, which is around 100 Km from Bangalore. This place is situated on the border between Karnataka and Andhra. 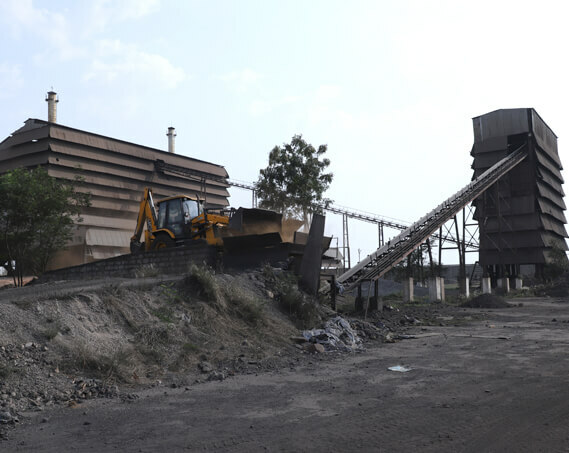 We can get good quality manganese ores as a lot of reputed manganese ore suppliers are within the proximity of this unit. This unit is having 2x6 MVA furnaces and can produce up to 18000 MT of Silico Manganese or up to 7200 MT of Ferro Silicon per annum. Tirupati Unit: This unit is at Gajulamandyam located on Tirupati-Chennai Highway. This unit is within the vicinity of the three major ports namely, Krishnapatnam (120 Km), Chennai (145 Km) and Visakhapatnam (740 Km). The unit capacity is 12 MVA. This unit can produce up to 20000 MTS of Silico Manganese per annum.